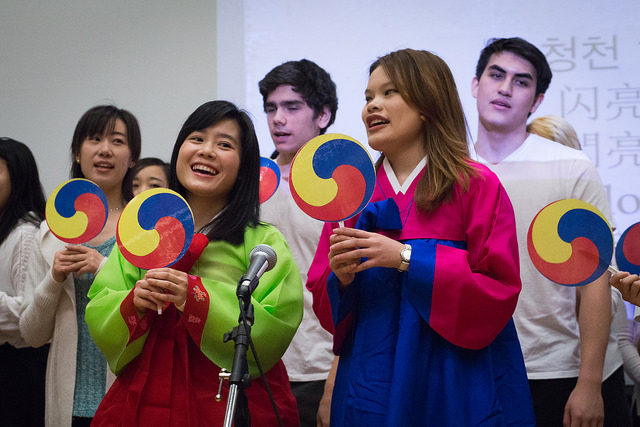 On Friday, February 5th, the Department of Asian Studies held its annual Lunar New Year Celebration, a joyous opportunity for learners of Mandarin, Cantonese, and Korean to demonstrate their language skills through songs, stories, talk shows and comical performances. The event started with opening remarks from Dr. Ross King, Head of Asian Studies Department, Mr Changxue Yu, the Education Consul of the Consulate General of the People’s Republic of China in Vancouver, Dr. Anna Kindler, Former Vice Provost and Associate Vice President Academic of UBC and Student of CHIN101, and Dr. Christopher Rea, Director, Centre of Chinese Research. With the tradition of an opening lion dance, more than 250 student performers from different levels of CHIN, CNTO, and KORN classes participated in 18 different performances. 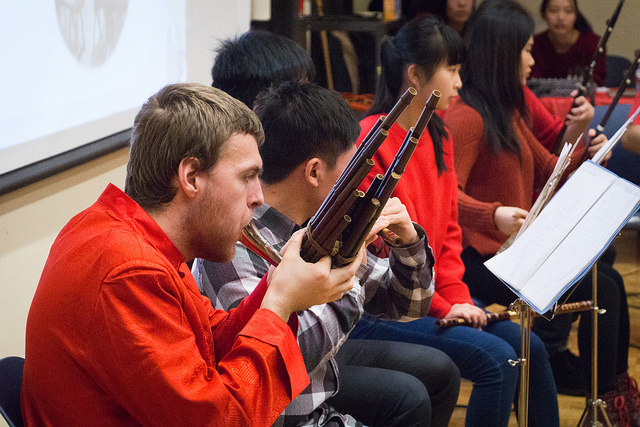 The whole performance ended with a small concert by the UBC Chinese Music Club. Asian Studies also joined the UBC Equity and Inclusion Office to celebrate the Lunar New Year in conjunction with the UBC centennial at the Nest. 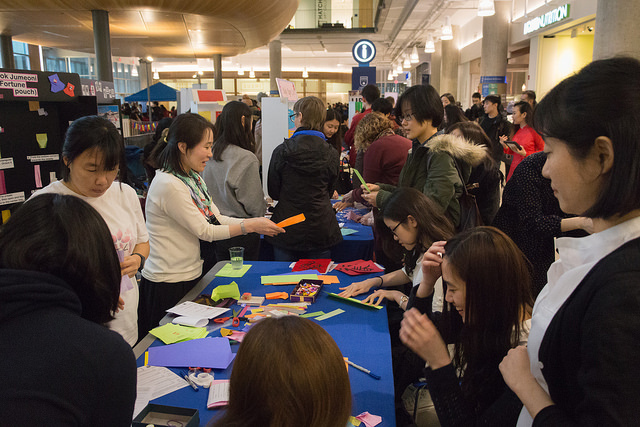 Instructors, TAs and volunteers from the Chinese and Korean language programs organized different cultural activities for UBC students. Activities included making Korean paper crafts, writing Chinese calligraphy, tying Chinese knots, paper cutting and seal carving. More than 350 students participated in the activities. 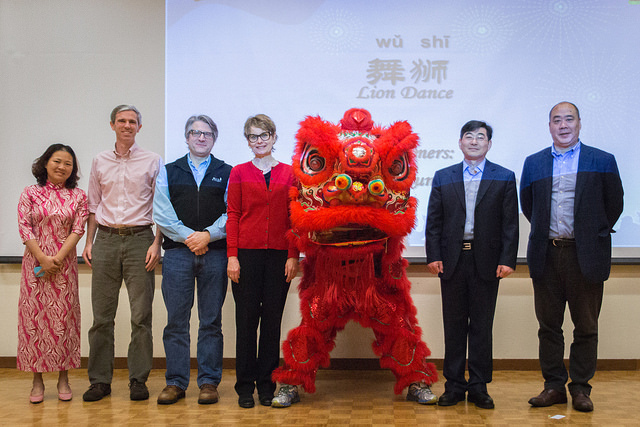 For other UBC 2016 Lunar New Year Events click here.